While for many people sports betting is just a fun hobby, there are a few ways of making money consistently by wagering on sports games as long as you understand the different bet types, odds, and strategies that can be brought into play. However, knowing how to win at sports betting also takes dedication and time, and involves making a lot of smart but small bets over an entire season, which add up to a profit overall. Hopefully, these tips will help you to maximize the amount you win at sports betting. Although no betting system can be regarded as entirely reliable, and caution and research are recommended before you place any bet if you put these tricks into practice routinely, you should find that you win more often than you lose, and those small wins will mount up over time. Unless you are a complete novice to sports betting, you probably are already aware that not every sportsbook is the same. The site that you choose to wager with is, in many ways, of equal importance to which team you’re betting on. While there are numerous ways in which you can analyze sportsbooks, the aspect you should probably be considering least when selecting an Internet sportsbook is the bonus that is offered. While this may be surprising to many people, bonuses come with terms and conditions that could mean poor value for the punter. And, while they should be borne in mind when making your choice, the top factor to think about when you’re choosing the right sportsbook for you is the kind of bettor to which each sportsbook is catering. There are three main types of sportsbook out there – RJ (Reduced Juice) lines, sharp line, and loose line. Here, we’ll take a look at what a loose line sportsbook means and whether it could be the right option for you. States Coverage: BetOnline accepts customers from all 50 states. Banking Options: BetOnline provides perhaps the best banking options in the US market in terms of variety. Welcome Bonus: New customers get a 50% deposit bonus up to $1,000. All-in-One: You can bet on sports, play poker and casino games. They also offer bingo and financial betting. US Focused: They accept US customers – from all 50 states. Deposit Limits: Large credit card deposit limits. Trusted: Owned by Bookmaker.eu, largest sportsbook in U.S. market. Why Does The Type Of Sportsbook Matter? All bettors have their own philosophies and styles of wagering, and it can only really be by using several different sportsbooks that you can ensure you’re finding the best line consistently. A wise punter will open accounts with multiple sportsbooks so that he or she can find the best value for his or her money, whichever way he or she wants to bet. What Are The Different Sportsbook Types? Square (or uninformed) bettors are more likely to wager on favorites, whatever the points spread, and some sportsbooks, therefore, adjust the lines so that action is encouraged on the opposing side. Although this might put some bettors off from wagering on the favorite, this represents an outstanding opportunity to wager on an underdog with an inflated price. A loose line sportsbook will offer this opportunity and is, therefore, often a good choice even for sharp bettors since it is prepared to shade lines. Of course, there are other options, too. The sharp line sportsbook deals a line of its own and doesn’t change its lines lightly, catering to the needs of professional sports investors. Therefore, if you’re a sharp bettor who wants to bet on a favorite, a sharp line sportsbook could be the one for you. Also, there are RJ Juice sportsbooks that don’t use a traditional dime line (or -110 juice), so winning is possible at lower rates while still making a profit. Choosing a sportsbook with which to place wagers isn’t always an easy task, but there is one thing that every punter will agree on – he or she wants to get the best bang for his or her buck! The world of sports betting is pretty competitive, so it isn’t surprising that the many sites out there will try to outdo each other with ever-more impressive promotions and offers to attract new customers. One way of doing this is to offer bonuses that will entice new players to register for their services. Plan wisely, do your research and you can benefit from depositing bonus sportsbooks, giving your winnings a hefty boost. What Is A Depositing Bonus? A depositing bonus sportsbook is one that offers a deal for new users who sign up to its site. In most cases, an initial deposit bonus (sometimes known as a sign-up bonus) will be expressed in terms of the percentage you’ll receive of your initial deposit amount. The percentages on offer vary wildly, so it’s always worth looking for the best deal. Some will be as low as 10 percent, while others could be as much as 100 percent of your deposit, or even more. That means that the higher the amount you deposit, the more bonus funds you’ll receive. Let’s say, for example, you deposit $100 with an offer of a 100 percent bonus. You’ll have $200 to play with. It’s that simple. Of course, nothing’s ever simple in the world of sports betting, so you need to be aware that you can’t just receive your bonus funds and withdraw them straight away. That’s not how it works. After all, that wouldn’t be very profitable for the sportsbook! Your bonus money will be credited immediately to your player account. However, the money won’t actually be yours yet. If you want to withdraw any funds, you need to meet the site’s playthrough (or rollover) requirement. This is the number of times you need to wager the combined amount of the initial deposit plus your bonus money. Let’s look at an example. If you made a deposit of $100 and the site offers you a deposit match bonus of 50 percent with a wagering requirement of 4 x, that means you’ll need to place wagers worth a total of $150 x 4, i.e. $600, before you’ll be able to make a withdrawal. While having a wagering requirement isn’t ideal as a bettor, you can do your research and shop around to make sure that you’re getting the best value for your money. Some sites have very high rollover requirements, while others are a lot more reasonable. So, checking out the terms before you register is essential to avoid any unpleasant surprises when you want to withdraw your winnings. No bonus comes without terms attached. So, before you sign up for any depositing bonus sportsbook, you need to check all the conditions very carefully. Bonuses will generally have a date on which they expire, so to be sure you can benefit from the offer, make sure that you have completed the wagering requirements before that date. Also, most sites specify the minimum odds that you can bet on, as well as the types of bet that you are permitted to make to count toward the wagering requirement. All sportsbook websites will have a terms and conditions section where you’ll be able to see the key details, such as the expiration date, bet types, minimum odds, and rollover requirements, that you need to comply with in order to satisfy the terms. Choosing a sportsbook isn’t always easy and knowing the differences between the main types is key to maximizing your wins. Here, we look at sharp line sportsbooks and determine why they’re a good choice when it comes to placing a wager on the next big event. What Is A Sharp Line Sportsbook? 1. The sharp line sportsbook doesn’t wait for a line to come out of Las Vegas for a particular game. It will either originate its own line, or it will be among the earliest sportsbooks to get its number out for wagering. 2. A sharp line sportsbook deals with players who consider themselves to be “sharps.” Sharps, otherwise known as “wise guys,” choose to bet against the traditional public money option. They don’t bet solely on the top teams regardless of the numbers. Instead, they look for the best line value before jumping on it. Usually, a sharp line sportsbook will take higher wagering limits, with some offshore sportsbooks in this category taking more than $30,000 just on a single bet. • It sets the market or originates lines of its own. • It moves lines rapidly if the market becomes steamed or accepts a large bet. 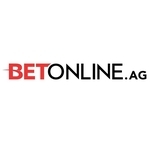 • It welcomes professional bettors. Because a sharp line sportsbook is prepared to accept high limits, as well as professional action, it will not shade its lines off the betting market. If you want to maximize your value by looking around to find the best lines, it is highly recommended that you open an account with at least one sharp line sportsbook. What Is The Alternative To A Sharp Line Sportsbook? The opposite of a sharp line sportsbook is a square sportsbook. The term “square” is used in sports betting to refer to someone who is a novice at betting, or someone who only wagers casually as opposed to a “sharp” or professional. All new bettors begin as a square bettor, and their typical wagers include prop bets and parlays, i.e. not the smartest options out there. What Is A Square Sportsbook? • It doesn’t move its lines until sharp line sportsbooks have made their moves. • It waits until the sharp line sportsbooks have opened before following their lines. • It primarily caters to the public “square” bettors who prefer to bet on overs and favorites. • It shades its lines in favor of public favorites, giving greater value for anyone who chooses to bet differently. 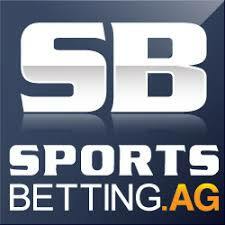 Should A Sharp Bettor Have An Account With Square Sportsbooks? Although sharp bettors tend to have their first betting account with a sharp line sportsbook, many also choose to have one with a square one. This is because sports investors with a shrewd mind can maximize their wins and improve winning percentages by getting down consistently at the better numbers. Which Sportsbooks Are Sharp Line? There are many loose line sportsbooks in the online betting industry. Usually, they shade lines depending on the action that the public is taking (sometimes known as a square action). For example, if a football team is the favorite at 6 points and, therefore, is receiving plenty of action, Loose line sportsbooks move the line, changing to 7 points. However, for protection from sharp players who bet on an underdog, some loose line sportsbooks are now dealing double lines – one aimed at square players and another for sharp players. While this was once unpopular, it is now almost entirely widespread across the industry. Some sportsbooks are considered to be loose line sportsbooks if their numbers are different from most others. Because there are many different sources of online giving line information and services, the majority of punters are aware of the “true” numbers for any given game. Any sportsbook that moves its numbers solely based on the action being taken rather than following the public opinion also has different lines from time to time and, therefore, can be also considered as loose. If you are new to sports-betting online, there is something you need to know before you begin. Choosing the right sportsbook can be harder than it may appear at first. Shopping around is very important so that you find a site that is not only trustworthy but that also suits your specific betting needs. Because all sportsbooks offer different bonuses, set odds in different ways, and have different options when it comes to withdrawing and depositing funds, it can be hard to determine which is the right one for you. Yet, understanding these differences is the key to choosing which sportsbook is best for your requirements. Since all sportsbooks online have to adhere to very similar regulations, in some areas there is no way to differentiate one from the other. For example, regardless of which sportsbook you register with, you still need to provide the same kind of personal data before signing up or making a withdrawal. You need to determine your own priorities before choosing a sportsbook. Perhaps you’re looking for a simple site with no bells or whistles, but that makes betting straightforward. Perhaps you just want the best odds. Maybe you’re looking for the opportunity to place exotic bets or maybe you want super-fast payouts. Knowing your own habits and betting values is key to choosing the right sportsbook. Does your chosen site honor the wagers that are placed? Does it provide payouts rapidly and handle the bettors’ personal and financial data securely? Does it have a prompt customer service team that can handle all complaints and issues effectively? Are the offers good for both new and existing players? Are they achievable? Does your chosen sportsbook offer your preferred payment methods? Are payouts rapid and deposits processed quickly? Are questions or concerns quickly addressed? Are there convenient contact options? Are the customer service representatives knowledgeable and courteous? Bearing these factors in mind before you make a final decision will help you to make an informed choice. One further factor to consider before you make your final choice of sportsbook is whether other users are satisfied with their experiences. You can find out more about whether previous and existing punters are happy with your chosen sportsbook by reading user reviews, as well as expert reviews. These will give you a good idea of what to expect when you sign up for a particular sportsbook and whether you can depend on your chosen provider to give you a positive experience. Sportsbooks allow people from all over the world to bet on sports. In the United States, sports betting is legal in some states, but they may have restrictions on play. There are thousands of sportsbooks all over the world that are available to place bets. Some, such as 5Dimes, Bookmaker, and GalaxySports, all have excellent ratings with regard to paying off client’s wagers very quickly, which earns them positive ratings and reviews. However, there are sportsbooks that do not have a good reputation for paying off their clients when they win a bet they placed. For example, a Topbet Sportsbook player who won a large bet from the company has filed a complaint about the $10,000 he won and never received. After he won the bet, the player requested four payments for $2,500 each. The funds were never placed back into his account. All his requests to get reimbursed have been ignored, or he has received only cursory responses. Because not all sportsbooks are alike, and many have been accused of either paying off bets slowly or not at all, we have created a list of some of the worst offenders. • CRSportsbet separated from BetMayor, which had already received a failing sportsbook rating for not paying its clients and began taking bets as a separate company. In the beginning, CRSportsbet did well, paying off former BetMayor players and keeping timely payouts on bets. However, recently, the betting site has not been paying off its bets. While some of them were seen as justified, other reputable players have reported not being paid for their winning bets. • TopBet is another website that has been seen as slow to pay. While in its six-year history it has been slow to pay on some bets, recently, its slow-pay system has turned to a no-pay system. Because this sportsbook has been around for a while and has a reputation for paying off wagers, it is difficult to determine whether it will eventually start paying off its bets. It is better to find a different sportsbook. • RealBet has been around for more than three years, and as with other sportsbooks, did well in its first year. In the last year, players have been slow to receive payouts, especially five-figure and larger payouts. One player discussed online that he had been told it might be up to a year before he receives payment on a bet he made and won. • BetVegas and USWager365 have both registered complaints from users over slow or no payouts nearly from the first moment they went live on the web. There may even be criminal charges coming against one or both of the companies. • LiveSports.ag has also had a history of slow- or no-pay claims. Although in the past, it has paid off its clients after complaints, recently, it has not paid out on claims despite more complaints being filed. • BetRoyal has a notorious history. It confiscated more than a half-million dollars from players playing as a group who did not commit any crime and has never paid those winners. • Instant Action Sports has had a slow payoff system since it began. While it appears it does eventually pay off claims, it is an extremely slow process, especially for large bets. • Sportsbook.com has a chronic history of slow pays. It also refused to pay on a $160,000 win by a player who won on correlated parlays. Some players have reported having their winnings deleted or being told their winnings were not tabulated correctly. If you decide to gamble on sports, be sure the sportsbook you are using has received excellent customer reviews and has a record of paying its clients off on time. For almost 100 years, Americans have had an ongoing love of football. The game has evolved and adapted over the years, and, today, it is the most popular choice of bettors across the United States. As football has become more popular, more lines and sportsbooks are opening up allowing punters to wager on their favorite teams. And, if you’re ready to bet on football for the first time, you need to know how to get started. Betting lines in football aren’t too difficult to work out, although the first time you see them, they could be quite confusing. Here is an overview of what you’ll see. An over/under bet is basically a wager on whether more or fewer points will be accumulated during the course of the game. So, let’s say, for example, a game has a betting line of O/U 80. This would mean that the betting line is a total of 80 points in any combination, so 45-35 or 55-25, etc. If you believe that there will be more than 80 points accumulated, you bet over. If you think there’ll be less, you bet under. To win, selecting the correct side of an O/U bet is necessary. If it’s dead on the 80 – you’ll get your wager back. A points spread will look something like Bears+7, Colts-7. In this particular matchup, the Colts have been favored by the oddsmakers, with the line being that the team is expected to be the winners by more than 7 points. A moneyline bet is basically a form of straight bet, although here are moneylines on other bet types depending on which sportsbook you are signed up with. This is the most basic form of wagering – choosing which team will lose or win with no O/U line or points spread. This is a good option if you’re managing your risk, but you probably won’t make any enormous wins by choosing this bet. This bet is for punters who are looking for bigger returns on their bets by betting on several elements of a single game or on multiple games to increase their winnings potential. However, all the bets have to come in to be a winner. A teaser and a parlay are very similar, except a teaser has better odds. With a teaser bet, although you’re wagering on several events, you can also opt to add on points to the odds. Both require you to have some experience at sports betting to be successful. Prop betting, or, to give it its full title, proposition betting, is when a punter bets on specific elements of a game that usually don’t include sportsbook odds or the game’s final score. Live betting is really another form of prop betting. However, it will happen in real time during gameplay itself. There are two kinds of football that punters can bet on in the U.S. – collegiate (CFB) or professional (NFL). There are several differences between the two leagues. The NFL only has 32 teams while there are hundreds in the NCAA. The CFB also only has a four-team playoff, while the NFL’s playoff has 16. 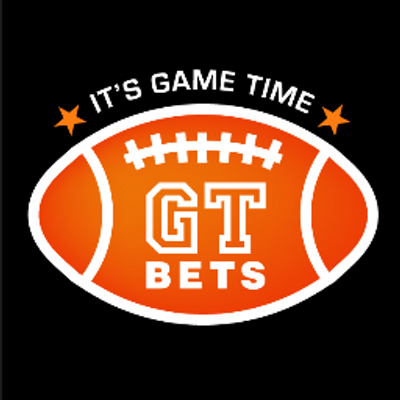 However, despite the many differences, the basics of both games are very similar and, therefore, the betting lines you’ll see at your favorite sportsbook will be very similar for both types, with spreads, parlays, straight bets, and O/U bets available. Cricket is incredibly popular in some parts of the world, and this has led to it becoming a close second to association football when it comes to the world’s most popular sports. Because cricket is so popular, punters can wager on cricket matches almost all year-round. • Test cricket – This form is the oldest type of cricket match, played out over five days. • One-Day Cricket – This version of cricket first became popular during the 1970s. Played, as you might have guessed, in just a single day, each team has 50 overs. • T20 cricket – This version of cricket first became popular during the early 2000s and involves all play taking place over a single evening or afternoon. Each team has 20 overs. Because a test cricket match goes on for five days, there is sufficient time for punters to devise a clear betting strategy. Ten nations play test cricket: New Zealand, South Africa, Australia, England, India, Pakistan, the West Indies, Zimbabwe, Bangladesh, and Sri Lanka. When betting on test cricket, there are a number of factors to bear in mind because of the length of the match itself. The condition of the pitch can change over the five days, while the weather may also fluctuate, thus changing playing conditions. Popular test cricket series that are commonly bet on include, of course, The Ashes, as well as the Border Gavaskar and Basil D’Oliveira trophies. Cricket betting odds are usually expressed in a decimal form. So, if, for example, two teams had respective odds of 2.10 and 1.72, this will let you know how much you would receive back should you win. If we make it simple and say you bet $10 on a team at betting odds of 1.72, you’d receive $17.20 should your team win. Of that amount, $10 would be the original amount you bet and $7.20 would be the amount you won. If you bet the same $10 on the team with betting odds of 2.10, you’d receive $21– $10 of which would be the original wager and $11 in winnings. If you lost your bet, you’d lose your wager no matter what the odds were at which you placed it. In a limited overs match, the only match outcome possibility is a winner and a loser. In a test match, a draw is also a possibility. If you bet on the series winner, you are betting on the team that you believe will win the entire series, or you could even bet on the exact score of the series. This is an increasingly popular market because of the trends that appear, leading to great profitability. With this bet type, you’re wagering on how a particular batsman will do against a particular bowler. This is a rapidly growing market and involves wagering on how many boundaries there will be, whether as a total amount of sixes or fours scored. Betting on cricket isn’t as difficult as it seems. If you do your research well and understand the bet types, you can make excellent profits. If you are new to wagering on horseracing, knowing how to bet at the track is important to your success. Here, we look at the different bet types, how you should place your wager and the kinds of wagers you’re able to place. With this brief and basic guide, you’ll have a better idea of how you can bet at the race track. • Which race track you are betting on. • The race number you want to wager on. • How much you intend to wager. • The type of wager you intend to place. • Which horse number you are wagering on. Which Kinds Of Bets Could You Place? • Win – This bet involves choosing which horse you think will finish first. Of all the different bet types, this is the easiest option and the most popular type of bet at the track. • Place – This bet involves choosing which horse will finish in either first or second position in your chosen race. • Show – This bet involves choosing the horse you believe will finish in any of the first three positions (i.e. first, second, and third). • Exacta – This bet involves choosing the horses that will finish in first and second place in precise order. • Trifecta – This bet involves choosing the horses that will finish in first, second, and third place in precise order. • Superfecta – This bet involves choosing the first four horses to finish in the exact order in which they cross the finish line. • Box – Another option is to box any exotic wager bet. This places a wager on a combination of horses that you have selected. While this gives you a greater chance of winning, it also makes the bet cost more. As you can imagine from the name, multirace bets involve you choosing which horse will win in a specified amount of races that will be run consecutively. • Daily double – This bet involves choosing the correct winning horses for two consecutive races. • Pick Three – This bet involves choosing the correct winning horses in three consecutive races. • Pick Four – This bet involves choosing the correct winning horses in four consecutive races. You can calculate how much you will stand to win by determining the number of horses you are betting on together with the betting odds on those horses, as well as the amount you are wagering. While it is fairly simple to calculate a straight-win bet by just multiplying the bet amount by the betting odds and adding how much you have wagered, it is more complicated to determine the amount you will win if you have placed an exotic bet. Now that you know the different types of bets that you can place at the horse racing track, you can make an informed decision about which is best for you. If you are a novice, it is always wise to begin with a straight bet if you want to limit your risk because, while you will win less overall, you have a better chance of success. While all bettors have their own betting tips, not all will work all the time. Nevertheless, having a few tried-and-tested betting strategies to rely on will stand you in good stead when it comes to maximizing your chances of a win. Whichever betting strategy you choose, it’s important to stick to your system without abandoning it immediately if you’re on a losing streak. If you continue to use your betting strategy on a regular basis, you will increase your chance of success in the long run. Consistency is the key to winning so pick your strategy and adhere to it. One key strategy that many successful bettors employ is to fade the public or bet against public opinion. This is an especially effective strategy when used for pro football wagers, although it works for other sports, too. Modern sportsbooks are aware which teams will be the ones that are bet on most heavily in any given week and, therefore, most adjust the betting odds they offer accordingly so bettors will bite on those numbers. This gives sharp bettors the chance to bet in the opposite direction, taking the opposing side to their financial benefit. It’s a fact that the top teams are generally the ones that obtain maximum media coverage and, therefore, they are often over-hyped and unable to match up to public expectation. If you remain unbiased and choose winners based on numbers rather than on how often they appear on TV, you will have a better chance of winning. This key strategy covers all in-season, preseason, and off-season moves, and all should be closely followed. These allow bettors to stay abreast of the most up-to-date news. 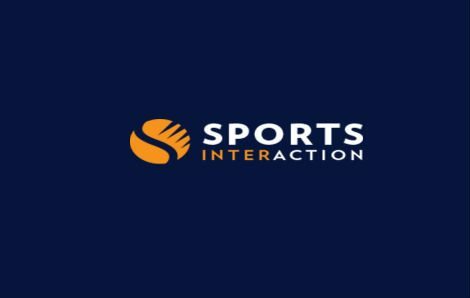 Whether a team has recently lost its star player, a major player has been injured, which then affects the success of the team, or a new player has just been signed who could turn the team’s fortunes around for the better, having inside information about the movements inside the team is a great way to inform your betting experience. It’s always best not to spread yourself too thin. It’s a fact that bettors who choose to specialize in either one or two sports are most successful. This is because they are able to focus more effectively and learn the ins and outs of their chosen sports for greater insider knowledge and better-informed bets. Narrowing down your focus to just a single sport or, at most, two, will enable you to really stay on top of the game and allow you to study individual teams and players in depth. You can then create rankings for yourself, which you can compare with the betting lines offered by your sportsbook and you can develop greater confidence together with a larger bankroll. Although the majority of low-stakes bettors put a high proportion of their bankrolls on every wager, this is primarily because they don’t need to worry so much about losses since their wagers aren’t too high. However, anyone who is keen to take his or her betting to another level should limit how much he or she spends on every wager. Professional bettors put a maximum of 2 percent of their total bankrolls into every game on which they bet, and this reduces their risk of losses. Although this is a conservative strategy, it does increase your chance of earning a profit. And, you’ll reduce the anxiety you’ll no doubt feel if the game doesn’t go your way. Try these strategies and maximize your chance of success when betting on sports. Although using historical odds as a basis for wagering doesn’t work for all forms of betting, it works surprisingly well when it comes to sports betting. While the majority of people only look at betting strategies in terms of the present, calculating current odds then making their decisions accordingly, there are times when historical odds are very useful when it comes to wagering. Although historical data cannot come into play when playing casino games, such as video poker, craps or baccarat, it has a key role to play when it comes to wagering on the outcome of sports fixtures. • Make large bets to capitalize on your edge. • Place a large volume of bets. The first option holds a lot of risk if your bankroll is on the smaller side since you shouldn’t risk more than 2 percent maximum of your budget on one wager. However, if you’re able to place high wagers, handicapping games individually has the potential to generate high profits, especially if you approach a win rate of 55 percent. Unfortunately, few people can do this consistently. The second option is a little more feasible because you can place many bets so you’re able to earn more money on your edge. On the downside though, you are unlikely to have sufficient time to handicap every content accurately. Luckily, there is a solution. This involves developing a system that can be used for all kinds of games, and this can be achieved by backtesting historical odds data. How Does Backtesting Work For Sports Betting? Backtesting means you use historical data to test your gambling system. However, the data you use has to fit within your chosen system’s parameters to work effectively. You, therefore, need to use historical odds to determine whether your strategy will win or lose. Having a wider sample size can give you greater confidence in your backtesting results. If you test against between 200 and 500 contests, you will be able to get a pretty good idea of whether your betting strategy is likely to be successful. However, if there are only between 25 and 50 games, it will be tougher to determine confidently if you have a winning system. In an ideal situation, you will find an effective system that wins over a specified profitability mark. As an example, a betting strategy that is able to win 53.5 percent of your point spread wagers can be considered to be an effective one. On the other hand, if your system isn’t winning sufficiently to make a profit, dump it. There is no point in pursuing a strategy that is a losing one. There are several different variables you can employ to develop a winning historical odds betting system. However, bear in mind any betting strategy becomes more difficult to test if more variables are added to the equation. In general, a good quality system can be created with between three and six variables. The NBA season has 1,230 games, so when you test the system against all games bearing these parameters in mind, you would have around 3,700 games across three seasons of data. This should be sufficient to determine whether your strategy works. Although because of the vast amount of data involved, you will benefit from a software database program that can help you with the backtesting procedure. Knowing what value betting means is important when it comes to success in sports betting. In basic terms, value betting means identifying the edge against the bookmaker, i.e., if you find a bet being priced at under its worth, it is a value bet. Value betting is essential for a successful wager and, here, we’ll explain why. Value Betting – What Does It Mean? The term “value” is commonly used when it comes to financial investments. However, when it comes to sports betting, its meaning is identical. Basically, if the probability of your selection occurring is lower than it should be, you have the opportunity for value betting. Any successful bettor will know the difference between his or her selection’s chance of occurring and how that compares with the available odds. If you wish to be successful in sports betting, you will have to spot value bets and then wager on them even if they seem to be unlikely to work out. Placing a value bet isn’t as easy as just looking for an odds-on favorite. While an odds-on favorite will have a better chance of winning, this doesn’t actually mean the odds on offer are value for money. The true key to successful betting in the long term is to understand the accurate probability of any outcome and then identifying if and when the market appears to be out of alignment. It can be hard to identify a value bet, so here are some ways to improve your chances of spotting value bets. • Set odds for yourself – Value bettors need to calculate odds for themselves for their chosen markets by using the data that are available. If you calculate probabilities for yourself, you can then compare those probabilities with the odds being offered by the bookmaker and see if the selection is overvalued or undervalued. • Think in terms of probabilities rather than in terms of underdogs and favorites – Favorites do not and cannot win every time. So, when you calculate the odds for yourself, you should try to identify the differences in the probabilities for every outcome compared with how it is offered by the bookmakers. And, if you find betting value, you should place the wager. You shouldn’t worry too much about betting on underdogs or even on outcomes that you don’t believe can be successful if you see betting value within the betting odds. • Specialize – Probably one of the best places to find a value bet is when you specialize in a niche market. This will make a more level playing field between bettors and bookmakers. If you have a clear understanding of the market, you will have a good chance of identifying odds that differ from those you have worked out yourself, and this will give you a greater opportunity to place a value bet. Once you are aware that odds are merely one interpretation of the probabilities, it becomes clear that finding value must always be present in any betting strategy to turn profits in the long term. Being able to understand probabilities and calculate them properly is the key to placing successful bets. And, if you can work out the real chance of a particular outcome more precisely than other punters, it will give you greater opportunities for profit through value bets. Bettors, therefore, should build a betting model for themselves, generating odds of their own for any specified betting market. If the odds featured in their own model differ sufficiently from the odds offered by a bookmaker, it is considered to be a value bet. Rather than simply picking a random sport on which to place a wager, most keen bettors use some kind of strategy, with most systems being based primarily on a points scheme of one sort or another. Knowing the rules of any sport that you want to bet on is very important before you develop a strategy since having a deep knowledge is the best way to predict a game’s outcome. Here, we look at how to win with betting trends, so you can have the best chance of maximizing your wins. Monitoring the data of recent betting trends is a key betting tool that is used by the most successful handicappers when it comes to finding the best value in the sports-betting marketplace. By monitoring this information, you can identify the teams that are being chased by the public, as well as the teams that are being pounded by sharps. Once you have monitored recent trends, there are two ways in which you can harness your observations and use them to your advantage, so you can win more consistently. Contrarian betting, as betting against public opinion is sometimes called, is a simple yet highly effective strategy when it comes to using data from recent betting trends. The logic behind this is easy – bet against public sentiment every time. No matter which team punters are behind, always bet on the opposing team. This works because whenever square punters load up on a particular side, loose line sportsbooks move their lines as a risk-reduction strategy so that bettors will be attracted to the opposite team. When there is a large amount of public spending in the marketplace, the sportsbooks will act in an irrational way, and this gives savvy punters the opportunity to grab a couple of extra points each time they make a wager, increasing the winning percentage by as much as 4 percent. This betting strategy works by looking for movement in the betting line that contradicts the percentages of the public betting trend. When this happens, it’s a key indicator that big wagers are being made by either a syndicate or an individual on an unexpected team, and clever punters will take advantage of the situation by quickly placing a bet. Of course, this strategy requires patience as well as quick timing. But, if you sign up for a real-time service that notifies members if reverse line movements have been triggered, you can take advantage of the reverse movement in time to make a profit. Why Are Betting Trends Important? Betting trends matter primarily because they provide bettors with some tangible information that can then be used to make highly informed bets. When you’re wagering on any sports event, you need to make sure you’re as informed as possible and looking at betting trends enables you to see real information that helps you make the smartest decisions. You should never be tempted to make blind bets since these are based purely on luck, which is never a wise way to wager. Using the data from betting trends will prevent you from impulsive decisions – looking closely at betting trends prevents you from simply jumping at any opportunity and forces you to make good choices that you are comfortable and confident with. Paying close attention to betting trends ensures that you will be making bets that you stand a good chance of winning and are based on evidence as opposed to a gut feeling – never a good idea when wagering on sports. The sports-betting world moves in mysterious ways, with maximizing profit margins top priority among today’s highly competitive sportsbooks. One of the ways that they can improve their revenue is to shade their betting lines. So, what does that mean? And, more importantly, what are the implications for bettors? Let’s take a standard -110 line as an example when working out our figures. That means you need to put down a wager of $110 to win back $100, i.e. you’ll receive $210 if your bet comes in (the original stake of $110 together with your winnings of $100). On the other hand, if your bet is lost, you stand to lose $110. In this example, the sportsbook receives $10 of the betting action (or 4.5 percent in percentage terms). That means bettors have to win 52 percent or 53 percent of the bets to break even. And, regardless of which way the public moves, the sportsbook continues to maintain the profit margin of 4.5 percent. While individual games lead to losses or profits for the bettors and sportsbooks alike, over the long term, the result will still be a profit margin of 4.5 percent in favor of the sportsbooks. Now that you’re aware of the edge sportsbooks have on every wager, you can use that knowledge to understand line shading. Sportsbooks shade betting lines to profit from public tendencies. So, if, for example, most bettors are betting on a favorite, the sportsbook is able to shade the betting lines, so it can profit from an overpriced favorite. If it moves the favorite from the standard -110 line to a -200 line, its profit margin is massively increased if the sportsbook loses. The figures show if a sportsbook shades its probability distribution just 2 percent to 3 percent, it can increase its profit margin by as much as 30 percent, and even up to 60 percent at the public level when the lines are shaded even more strongly. This adds up to a pretty impressive win for the sportsbooks whatever the outcome. Favorites win only around 66 percent of the time. That means the other 33 percent of the time sportsbooks are able to capitalize on improved margins created by line shading. So, as long as the sportsbook has adjusted the lines sufficiently so the profit margins it enjoys when the favorite loses outweighs its losses if the favorite wins, it will enjoy consistent profits in the long term. If you are going to use sportsbook line shading to make a profit as a sports bettor, you need to risk taking an opposing viewpoint. If you imagine that the favorite in every game has a line at -200, with the underdog having a line at +200, in this circumstance, sports bettors who always choose the favorite need to win a minimum of 66 percent of the bets to break even. However, in the same case, sports bettors who consistently favor the underdog only have to win around 33 percent of the wagers to break even. While these figures don’t consider any extra factors, such as injury, home advantage or other trends, if you bear these other elements in mind when placing your wagers while favoring the underdog, you can potentially increase your chances of making a considerable profit. While blindly betting on the underdog can’t guarantee you’ll have positive profit margins, if you understand the way in which sportsbooks shade their betting lines so they can maximize their profits, you can gain the edge by taking the contrarian view when betting on your favorite sports. When you are first evaluating a sports bet, the winning percentage is probably the first statistic you look for. However, the key number you should be looking out for is the “Betting Units Won” figure. This is essential to evaluating any betting system or determining the true worth of any handicapper. So, what is the “Betting Units Won figure?” It refers to how much money any group of plays lost or won once the juice has been factored in. It is a convenient and easy way of comparing any group of plays whatever the player’s bankroll. X stands for odds in this formula. • If X is more than 0, you should use the formula (x divided by 100). • If X is less than 0, you should use the formula (-100 divided by x). Let’s take an example – if Duke is the three-point favorite over North Carolina, and the juice stands at -115, you use -115 in place of x in the second formula above. That means, if Duke covered the spread, successful bettors win +0.87 units on that play. On the other hand, if they do not cover the spread, bettors lose 1 unit (or -1 unit). The problem is the “Betting Units Won” figure can be abused by the handicappers and, so, on many handicapping sites, it has very little worth if any at all. While they may use a 20-unit or 10-unit bet for a lot of plays, they then make “locks” of 100 units. Therefore, their results are inflated. Unless there is a clear definition of how the handicapper calculates the units won and adopts a standard wager amount across the season, you shouldn’t pay any attention to its figures. Although “winning percentage” and “units won” are both of interest when evaluating any group of plays, the number of plays, or sample size, is another key bit of data to consider. One strategy used by bettors allows them to spread their risks across the betting marketplace. This has been termed the “Walmart” approach. Although spreading the risk allows a bettor to get through both the lows and highs of the playing season while making a profit, it is also an approach that requires steadfastness in terms of a betting amount, since fluctuations in the amount wagered tend to be more damaging during a low than it could help during a high. If a bettor spreads his or her risk around the betting marketplace, he or she is doing something similar to building up a diverse stock market portfolio, and it can reduce the amount of damage incurred in a rough market period. If, for example, a bettor starts out with a bankroll of $100 and then uses wagers of $25 each, a poor streak at the outset could decimate the entire bankroll. Yet, should the same bettor make wagers of just $2 each, it’s possible to withstand early problems to stay in the game and make positive gains. Now that you’re aware of what “betting units won” actually means, you can use that information to your benefit. But, remember to bear in mind that handicappers often inflate their results to make themselves appear more impressive in a competitive market. Therefore, reading the fine print is important to make sure you have all the facts. One of the most popular forms of sports betting is to bet against the public, a method that is sometimes described by those in the known as “contrarian betting.” The concept behind this system says that, since the public is often brainwashed into thinking a team is better than it really is, it often gets it wrong when it comes to betting. Therefore, if the public is especially excited about betting on a particular side, it becomes more likely that “smart” wagers will be those on the opposing side. This system really does make sense, and it has been shown to work consistently in the long term. The reasoning behind this is because if the public were generally backing the winning team, all the sportsbooks out there would struggle to stay operational. Sportsbooks set betting lines to try to obtain equal betting action on each side, and they are very aware of what they’re doing. Sometimes, they deliberately make one team look to be a better deal than it could possibly be. If the public then pounds a favorite side in this situation, the sportsbook generally comes out on top. Therefore, if you’re a bettor, you should make an effort to be on the side that the sportsbook is actually rooting for in the beginning. The betting public is generally obsessed with wagering on its favorites. After all, the vast majority of bettors start gambling on sports because they’re already fans and are keen to make some money from their favorite pastime. Sportsbooks know this, and use that knowledge in their favor, shading their betting lines against the favorites by adopting point spread betting since they know that a huge number of bettors will just wager blindly. Sportsbooks even move the betting line by at least a half-point, especially in the case of a popular pick. This gives even greater value to anyone who chooses to bet against public opinion in this sort of situation. Here are some examples to demonstrate how it is possible to gain substantial profits from fading public opinion. Let us look at the NFL as a case in point. In the last eight seasons, the games that have had 75 percent of public bettors wagering on a single side lost around 53 percent to 54 percent of the time. And, this, therefore, means that if you faded, then you would have had more wins when compared with your losses. During the same time period, larger underdogs formed some of the most successful bets, with underdogs covering their spread 55 percent of the time when 70 percent to 75 percent of the betting public was on favorites of 7+ points (a key number when betting on football). If we look at college football, the road teams that received a larger percentage of public betting action made excellent fades, too. Therefore, if you wager against a road team that received 77 percent to 80 percent of the wagers during the same period of time, you would’ve won around 56 percent of the time. Although no system or trend of betting can last forever since the market is sure to adjust eventually, right now, and for the foreseeable future, fading public opinion appears to be a betting system that will stay successful, at least in some degree. Sportsbooks are always aware of which side public opinion is on. So, sharp bettors can benefit from this in many cases simply by charting the line moves then wagering accordingly wherever they find good value.